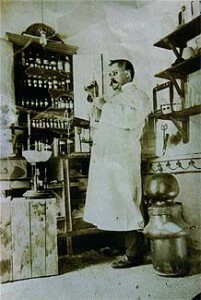 More than a century has passed since Fernández y Canivell patented its revolutionary supplement called Ceregumil. Ceregumil is a product with a long history of being on the market and consumed by many families. But How Was Ceregumil Invented? The creator of this well-known supplement was a pharmacist called Bernabé Fernández Sánchez. He was born in Granada in 1878 and lived in Montilla, Cordoba. Blanca Canivell Pascual ran a chemist’s in Montilla called the “Moderna” located at Calle Corredera 49, where some thick dark jars were sold which were labelled by hand and crudely presented. So much Ceregumil was sold that Bernabé Fernández Sánchez felt the need to do two things: first, register the invention (1912) and then look for a city near the coast or a seaport where he could manufacture, distribute and ship Ceregumil to the entire world. The first factory was subsequently opened in Malaga in 1921. Its definitive establishment came about when the company backed its production with what we would now classify as an aggressive implementation of avant la lettre market research, marketing and advertising techniques. In 1924, it was duly certified as a pharmaceutical firm. By then, Ceregumil already displayed the Palma de Mallorca Exhibition gold medal on its label. At the beginning of the 1920s, it topped the consumption and sales rankings. It also achieved great success at the Malaga Trade Fair and Exhibition in 1924, the Latin American Exhibition held in Seville in 1929, the International Exhibition held in Peru in 1949, etc. Fernández y Canivell was subsequently made an Honorary Member of the Chambers of Commerce of Buenos Aires (1959) and Venezuela (1973). Fernández y Canivell managed to attract the interest of the country’s graphic designers and within a few years got its product advertised through graphic art made by the very best graphic designers. The response obtained from Spanish graphic designers was such that no other company in Spain managed to put together a collection of graphic art that could compete with Ceregumil’s. It thus entered into most households. In the 1960s and 1970s the product was advertised by radio and adapted to a new era with new facilities at the El Viso Industrial Estate in Malaga (1972). The first TV spots were broadcast in the 1980s and new products were developed in the 1990s, which were also widely advertised on TV. At the turn of the 21st century, the company had to face new challenges after celebrating its first hundred years in 2007. Based on our notion of a natural product, the Research and Development Department worked on new developments in conjunction with several universities which would allow the concepts of “dietetics” and “health” to be brought together with the sole aim of improving people’s health through natural food supplements. These new projects required new facilities and technologies which became a reality in 2009. The company adapted to changing times and needs with a new factory, showing once again that the Ceregumil brand had not in the least lost is appeal. After more than a hundred years, it is still a benchmark for better health for all those who are aware of its products and use them. The concept of a family-run business persists to this day. We work with the same enthusiasm as the company’s founders. Our facilities are highly automated and we continue to work with top-quality raw materials and innovative processes to ensure a high level of service, trust and safety for our customers. We like to be very aware of our customers’ needs. We are a manufacturer that has specialised in food supplements within the health and wellbeing sector. 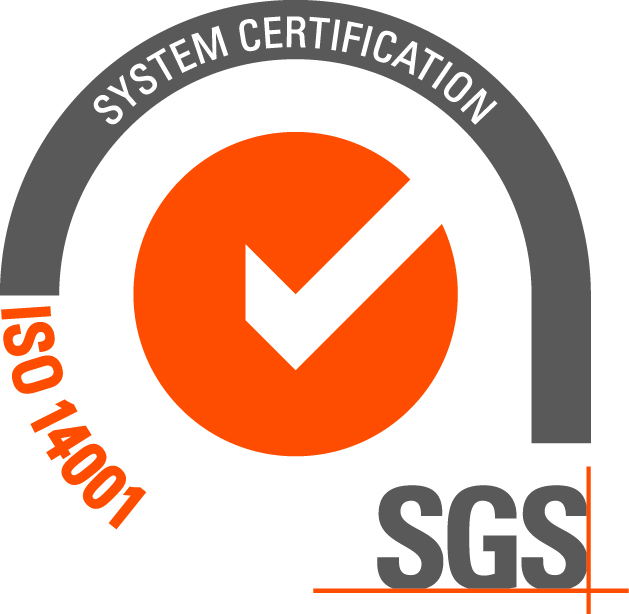 That is why our management is based on ensuring the very best quality standards across all the company’s areas, ranging from production, R&D and administrative processes to sales. We lead the market by always keeping the end customer in mind, placing all our efforts on achieving a healthier life, constantly innovating our product catalogue, and supporting and developing the company’s core business to ensure the company’s quick response times. Ours is a long-term project in both the Spanish and international markets and we make use of strategic partners where necessary. We back socially responsible development and operate with utmost responsibility. This attitude is a result of the values which have been conveyed ever since the company was founded. On our own initiative, we behave responsibly to all our stakeholders, including workers, customers, suppliers, professionals and society as a whole. We are highly aware of the importance of sustainability and responsible action. Our Integrated Safety, Occupational Health and Safety and Environmental Policy is a clear reflection of the firm undertaking the company has made to the environment. Fernández y Canivell has always made a two-fold investment in people: in both the human and technical aspects. The company has managed to recruit and maintain its most valued asset, its workforce, which has provided it with enthusiasm and the courage to remain in the market for over a hundred years. Our workforce has attained the goals it has set for itself and has always contributed with advanced technical know-how in both R&D and manufacturing methods. Furthermore, people receive trust and confidence in exchange. This fosters personal skills, a good working environment and generates a sense of belonging, leading to an outstanding symbiosis of collaboration and effective teamwork. The workforce at Fernández y Canivell works on a constant basis to generate value by boosting the business to project said value into the future. Comprised of all the company’s members. The Board deals with operational decisions connected with the company’s business. One person is appointed from among the Board’s members as the Chief Executive Officer to lead the rest of the organisation. The new facilities, which are located in the PARQUE TECNOLÓGICO DE ANDALUCÍA (Andalusia Technology Park) in MALAGA, are proof of the modernity of a century-old company which remains committed to research, innovation, quality and its product’s safety, without losing sight of the tradition represented by the Ceregumil brand as a pioneering product in the market for tonics, restoratives and food supplements. As a pharmaceutical firm, Fernández y Canivell, S.A. has always had the quality of its products as its prime objective since 1924. This has led it to making the tradition of its manufacturing system compatible with the most advanced technologies. We ensure we place new products on the market every year on the basis of demand. Hence, we are constantly updating our product portfolio. We ensure that the natural origin and quality of the raw materials we work with are kept. The product range is growing because needs change. The company not only manufactures tonics today. Instead, it has been renewing and changing its range until it has achieved a broad range of specific products to suit each person’s needs. Our customers view us as a traditional brand that has been in the market for over a hundred years and which has helped many families lead a healthier life. They have an image of natural products, since they are made directly with cereals, legumes and sugars. These are healthy products which will help you get through the day. 1. We manufacture liquid food supplements at our plant in Malaga and market our brands throughout the Spanish market. We cover both the pharmaceutical and the parapharmaceutical channels with said sales through our own in-house and external networks. 2. We market CEREGUMIL and the rest of our brands in the international market. We have a presence in Portugal, the USA, Costa Rica, Guatemala, the Dominican Republic, Puerto Rico, Peru, Chile, Taiwan and other countries. We adapt our products to each country and are flexible regarding the image we wish to convey in the destination country. Ceregumil has distributors in Europe, America and Asia. 3. We manufacture for third parties through Contract Development and Contract Manufacturing and are equipped with state-of-the-art facilities to manufacture liquid and semiliquid products. In the Laboratory Fernández y Canivell, S.A. we offer you a complete service for the manufacture of vitamins and dietary supplements. We can help you with every aspect of the process to facilitate launching the product on the market, from product selection and packaging design, to quality control, resulting in a product that is ready to be released. We can also advise you on regulation. As a trusted manufacturer of vitamins and supplements, our catalogue offers a range of solutions ready for our customers to choose from for their own brand. Our custom formulations are supplied in liquid form. They can be supplied in bulk packaging or bottled and ready for your own private label. An expert team of scientists, nutritionists, doctors and food technologists have developed our formulas with the aim of ensuring that all the ingredients work synergistically. Our formulas have been designed to be as balanced as possible with regard to the most appropriate active ingredients, so that the effects are as rapid and effective as possible, and taking into account the most suitable presentation of the product (syrup, tablets, etc. ), in accordance with studies carried out by universities and other experts. We guarantee the quality of raw materials by buying directly from authorised producers who are regularly audited. We work hand in hand with our suppliers to ensure a supply of ingredients that meet the needs of our customers. We always choose the highest quality available in order to comply with our strict specifications and efficacy standards. All products are manufactured in accordance with Good Manufacturing Practices. Our manufacturing processes follow the GMPs for dietary supplements, and we have been audited by the FDA in compliance with the requirements of food supplement companies, using FSSC (Food Safety System Certification) systems to ensure food safety in food processing processes, avoiding potential hazards and establishing barriers to prevent them from occurring. We currently have a presence in Spain, as well as in North African and Middle Eastern countries.